This Vehicle is used by the full time Chief and full time Capt. / Fire Inspector to run the day time medicals, as well as to conduct fire code inspections during normal business hours. 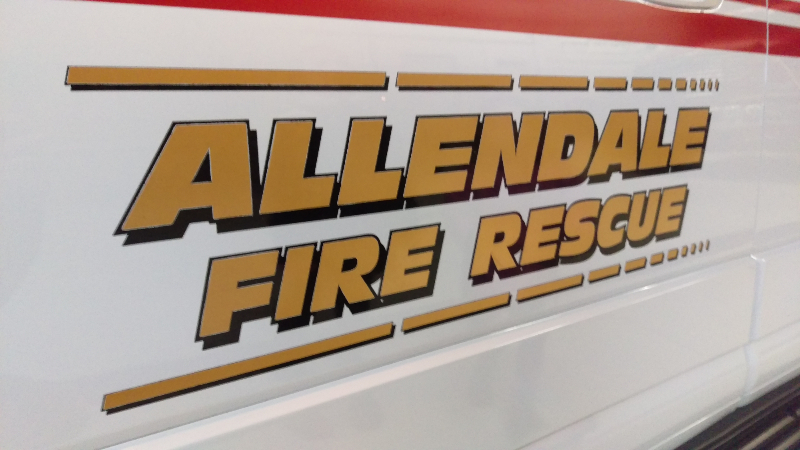 Rescue Engine is our first due unit for all fires within Allendale Twp. 121 is a licensed BLS (Basic Life Support) Medical Unit. Its capabilities are fire suppression, vehicle extrication, water rescue, RIT (rapid intervention team) and many others. 2015 Smeal 100ft. ladder, 750 Gallon tank 1750 gpm hale pump. This truck is set up for fire suppression, rescue operations, ventilation along with other misc. tasks. Primary Medical Response Unit in the Allendale Twp. 171 is a licensed BLS (Basic Life Support) Medical Unit. 171, is also used by the full-time Fire Inspector, during normal business hours, to do fire inspections. 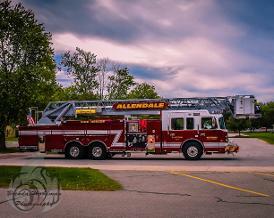 This apparatus is our first due unit for wild fires in the Allendale Twp. 181 is also set up for traffic control on major incidents. 2008 Sterling Cab with a custom chassis; 5,000 gallon tank with a 1,000 GPM Darley pump. This unit is equipped with an automatic dump chute on either side of the tank with a manual dump chute in the rear. 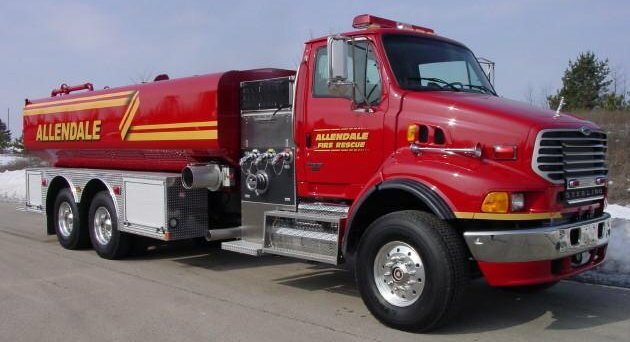 This is an tanker truck to haul water to areas that are not supplied with fire hydrants It is also set up to be a Pumper Tanker. We're able to simulate fire conditions as close as possible with fire from propane tanks and non-toxic smoke. 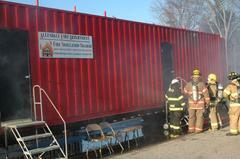 This trailer is used to keep up on training for search and rescue and different types of fire attack. We're able to simulate fire conditions as close as possible with Class A fire. 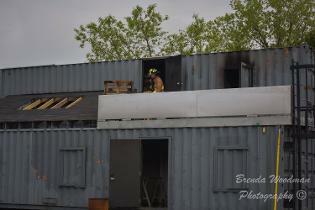 This training center is used to keep up on training for search and rescue and different types of fire attack.